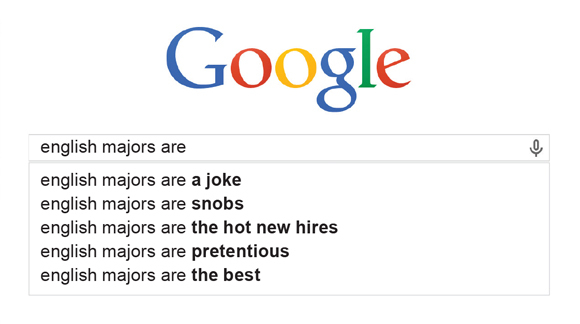 Since 2012 Google Poetics has showcased the best in autocomplete poetry—autofill-generated lines that work together as poems. Some are silly, others poignant. 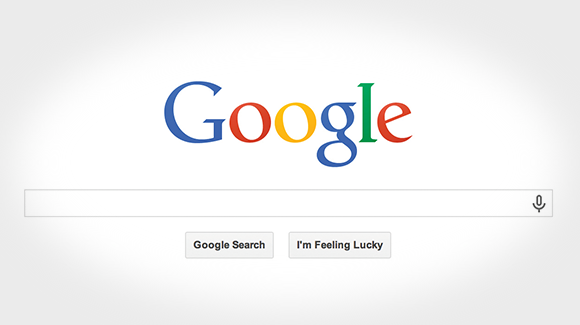 What makes them so alluring is the absurd way Google’s most-searched-for phrases combine. The poetry varies by user, depending on your search history. For example, the fourth line of “I should have ...” is, for me, “never gone ziplining.” “How to convert to ...” is a delightful mash-up of religions and technology. It’s poetry by way of crowdsourcing. Here are a few College-inspired verses. Submit your own by emailing uchicago-magazine@uchicago.edu. 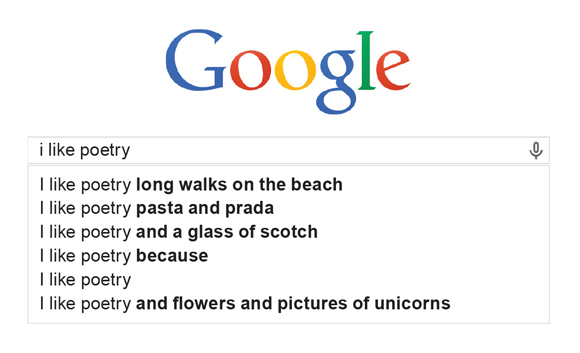 A simple search request could create a beautiful original poem. Are you feeling lucky?